Waterproof and wonderfully basic, these sturdy, insulated Columbia snow pants for little boys will be the new cornerstone to wintertime fun. An adjustable waist delivers comfort and the perfect fit, while internal leg gaiters keep out the cold and snow. The Boy's Youth Toddler Ice Slope™ II Pant's special Outgrown cuffs extend to accommodate for growth over multiple seasons. Waterproof and wonderfully basic, these sturdy, insulated Columbia snow pants for little boys will be the new cornerstone to wintertime fun. 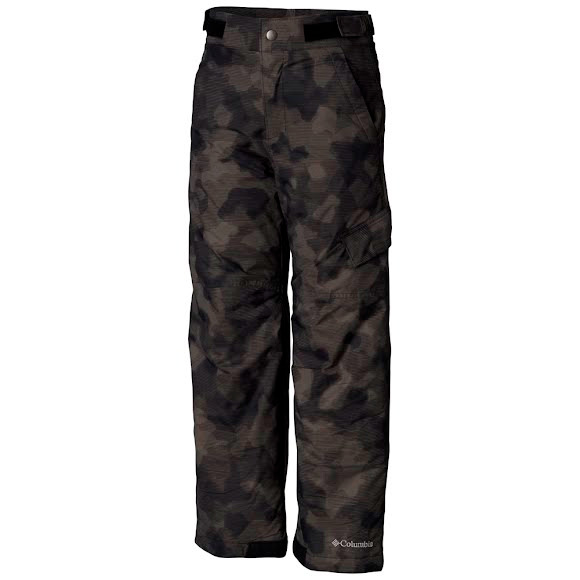 An adjustable waist delivers comfort and the perfect fit, while internal leg gaiters keep out the cold and snow. The Boy&apos;s Youth Toddler Ice Slope™ II Pant&apos;s special Outgrown cuffs extend to accommodate for growth over multiple seasons.